When is a tablet not a tablet? 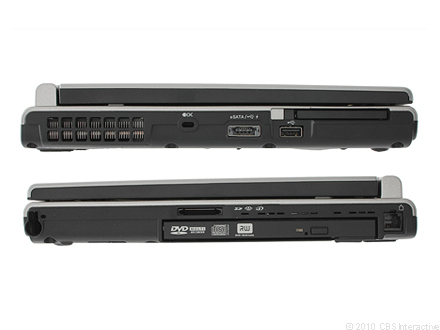 When it's also a business-orientated, 12.1-inch laptop called the Toshiba Portege M780. With a twist of its screen, this bad boy can transform into a slightly chunky tablet PC in the same vein as the iPad. The 12.1-inch Toshiba Portege M780 gives you the freedom of laptop or tablet operating modes, but it's too unattractive and bulky for our tastes. 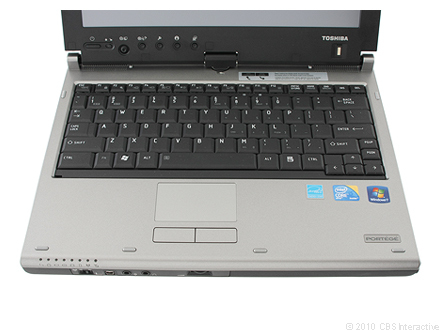 It's hard to summarize the Toshiba M780, given the wide variety of configurations available. The low end model we received for review wouldn't be our top pick given the lack of an optical drive, touch screen, Bluetooth and the relatively lowly Intel Core i3 CPU. The higher end (but not top of the line) M780-S7230 that sells for $1,699 has more meat with an Intel Core i5, DVD drive, Bluetooth and a touch screen in addition to the active digitizer. That machine is appealing to those looking for a tablet that's good for graphics thanks to the matte display, and we're thrilled to see an internal optical drive in a 12” tablet. Regardless of the model you choose, the Toshiba is no looker, even if you're not into flashy etched designs like that of the HP TM2. The HP's metal casing does inspire confidence and give the machine a touch of high end chic, while Lenovo's tablets like the ThinkPad X201 exude ruggedness and quality. And the M780's display, though very colorful and offering good viewing angles, lacks the sharpness of Lenovo's tablet. Four years ago, CNET reviewed the Toshiba Portege M400, a convertible tablet laptop that was the first of its kind with a Core 2 Duo processor. Imagine our surprise in 2010 when we received the Portege M780, a Core i5 convertible laptop/tablet with pretty much exactly the same design. In a post-iPad era, Toshiba's expensive and needlessly bulky Portege M780 is a convertible tablet notebook that feels like a design relic from five years ago.